The fragmentation of post-trade data for over-the-counter (OTC) equity trades in Europe is preventing effective transaction cost analysis and impairing the ability to observe best execution principles, according to market participants. “There are a number of solutions to tackle trading fragmentation, such as smart order routing, but fragmentation of trade reporting is a challenge that technology has not yet been able to resolve,” Stephane Loiseau, managing director and deputy global head of execution services at Société Générale Corporate & Investment Banking, told theTRADEnews.com. 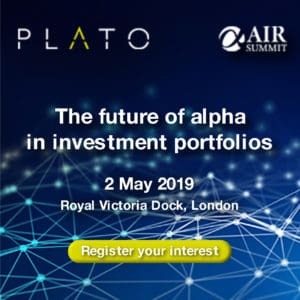 Since MiFID came into force in November 2007, brokers have been able to choose whether to report trades on regulated exchanges, multilateral trading facilities (MTFs), third-party reporting venues or proprietary arrangements. As well as allowing trades to be reported elsewhere than the exchange on which they were executed, MiFID adds to post-trade fragmentation by permitting some trades to be delayed. Several brokers have opted to use Markit BOAT, a reporting and dissemination service for European OTC equities trades owned by data vendor Markit. According to figures from market data vendor Thomson Reuters, 23.35% of pan-European traded value and 22.96% of traded volume was reported to BOAT in March 2009. By contrast, OTC trades reported to NYSE Euronext, the next-biggest OTC trade reporting venue in Europe, only accounted for 6.34% of the value and 2.46% of the volume in March. Trades reported OTC are typically bilateral transactions, such as those that take place in independent crossing networks or brokers’ internal dark pools. Some argue that because they charge dissemination fees, off-exchange OTC trade reporting firms are limiting access to data. A further problem is brokers can report trades in markets far removed from where the execution took place in an attempt to hide the trade. A frequently-cited example is a western European trade being reported to the Bratislava Stock Exchange. 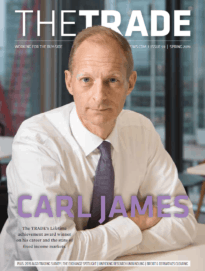 However, Guy Sears, director, wholesale, at the Investment Management Association, a UK buy-side trade body, believes the buy-side needs more confidence in where brokers are reporting and why. Loiseau at SocGen said the true problem is the lack of a US-style consolidated tape of post-trade data for Europe, which all reporting venues would be mandated to send data to and which all market participants could access. While many believe the market should be left to provide its own solutions for a pre-trade consolidated tape, Loiseau thinks the post-trade equivalent requires regulatory impetus. According to a spokesman for the Committee of European Securities Regulators (CESR), the body charged with maintaining consistency across Europe’s financial watchdogs, CESR is looking into post-trade transparency as part of its continuing study of MiFID’s impact on the functioning of secondary markets. The relevant CESR expert group is due to discuss the issue this week. One challenging feature of MiFID’s post-trade regime that a consolidated tape would not help is the ability to delay trades of certain sizes, up to a maximum of three days after the trade has taken place. The delays are designed to reduce the market impact of very large block trades. The European Commission published a ‘delay matrix’ detailing what size of trades can be delayed for how long under MiFID. However, the number of delayed trades has reduced dramatically in recent months. According to data from Markit BOAT, the percentage of turnover reported to the facility that was delayed fell to 13.33% in February 2009 from 48.40% in May 2008.